At its recent WWDC, Apple revealed the latest version of macOS -- Mojave. The OS update introduces a number of new features, including a dark theme and desktop Stacks. 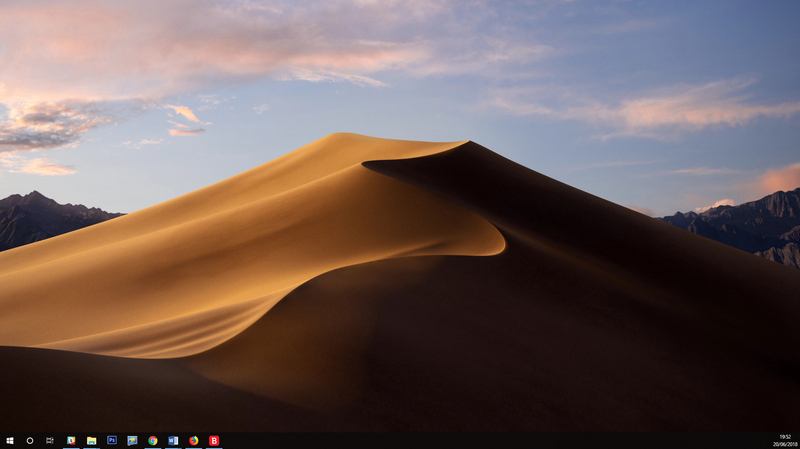 One of the more interesting additions is Dynamic Desktop which cleverly cycles through a set of 16 images of the desert taken at different times of the day. If you like the idea of this, but are on Windows 10, the good news is it’s now possible to get the feature on your OS, and for free. WinDynamicDesktop is an open source app from developer Timothy Johnson which mimics the feature beautifully. You can download it (and its source code) from GitHub. To use it, just install and launch the program. It will download the required images and then you just need to enter your location so it can customize the update cycle based on the sunrise/sunset times for where you are. Once you’ve done that, the desert image will appear on your desktop. You can update the location, and choose whether it should start with Windows, by right-clicking its icon in the system tray.